National Book Award winners and finalists, Pulitzer Prize nominated novels, and other highly regarded modern literature. 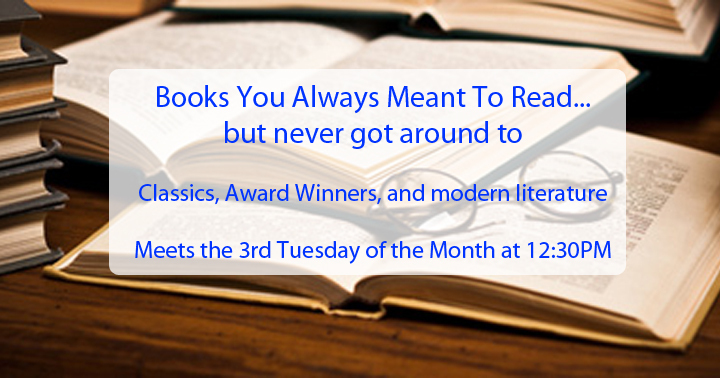 The Books You Always Meant To Read Club meets the third Tuesday of the month at 12:30pm. Posted in Front Page Loop, Happenings.